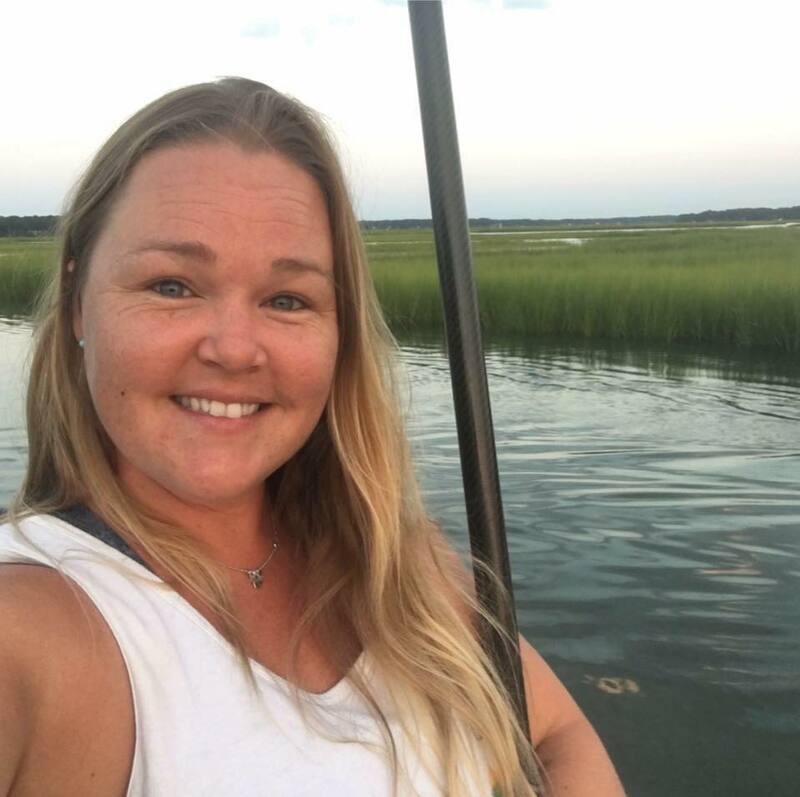 Sarah Pope, General Certification in Education with a focus on Science, is a teacher, curriculum writer, and owner and lead outdoor educator at Ebbing Tides Eco Tours, LLC. Sarah received her undergraduate degree from Old Dominion University in 2010 with a major in Ocean Earth and Atmospheric Science. In 2014, Sarah completed her graduate coursework in secondary science education from the College of William & Mary; where she participated in Virginia Initiative for Science Teaching and Achieving (VISTA). She has since expanded her teaching license to include all middle school sciences, in addition to the earth sciences (oceanography, meteorology, astronomy, geology). In 2014, she trained under College Board and the National Math and Science Initiative (NMSI) for advanced placement environmental science. Her teaching experience started while she was still in college with an internship at the Virginia Aquarium and Marine Science Center. She developed hands on activities for museum guests focusing on marine invertebrates. After graduation, Sarah taught high school science for six years with Norfolk Public Schools. While there she wrote and was awarded over $4000 in grants, which she used to develop and outdoor classroom, oyster gardening program, and numerous filed trips. All of which earned the school a River Star designation for five straight years. Ebbing Tides Eco Tours, LLC, came to fruition in 2015. Marring her love of outdoor education and paddle boarding. By 2016, Sarah widened her teaching scope to include outdoor science classes and enrichment programs to local homeschool students. She strives to allow her students to learn through exploration. This allows for an authentic educational experience, where the students’ curiosity drives the lesson. She also provides marine outreach programs to schools located in the mountains. She brings coastal habitats to students throughout the commonwealth. As an American Canoe Association (ACA) Stand Up Paddle Board Instructor, Sarah also runs a Summer SUP Camp. Where participants are immersed in the ecology of the Chesapeake Bay. Campers paddle and collect and identify the local wildlife. Sarah is a member of the Mid Atlantic Marine Education Association (MAMEA). She has presented numerous times at the annual Virginia Association of Science Teachers (VAST) conferences. Sarah has authored several science curricula available on teachers-pay- teachers. When she’s not teaching, Sarah loves to travel, read, practice yoga and spend quality time with her loving husband, three sons and beloved dog.